​In our continued effort to expand our Going Green Policy of being almost completely digital, we offer you a simplistic, as well as entertaining intake form for massage & bodywork. You will be contacted within 48 hours of your submission. If you want to have a laugh go check out our digital nutritional intake form and catch all of the Easter Eggs we left throughout that intake ^o^. 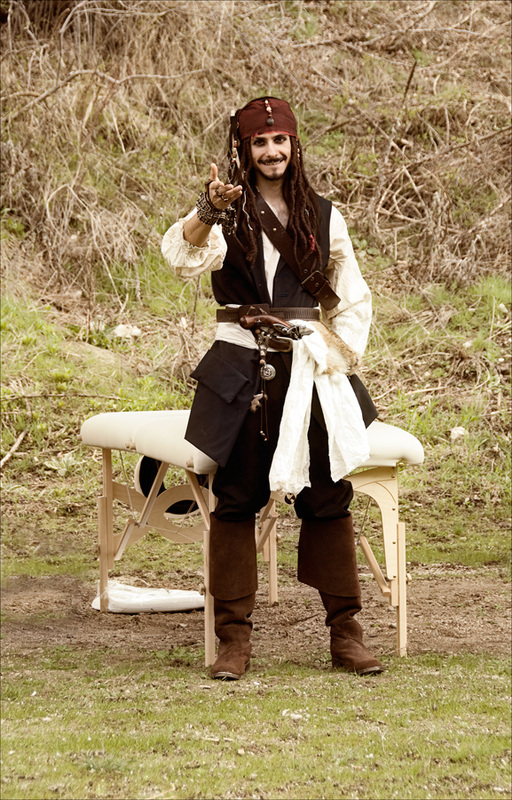 Practitioner does not come dressed as Captain Jack Sparrow ^o^. Unless you want to pay like $369 an hour ^_^. "History is just this froth of artifact production that has appeared in the last ten to fifteen thousand years. It spread across the planet very quickly. But that mind in man just goes back and back into the darkness."